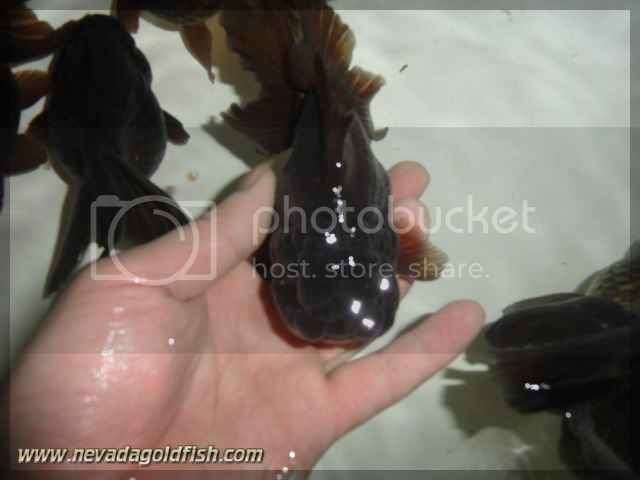 This Black Oranda has a smooth back curve which looks a bit like Ranchu's back curve. 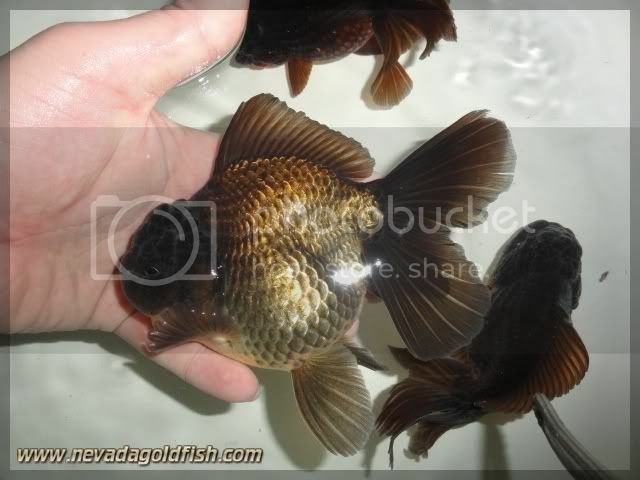 It is quite unique to see this type of back in Oranda. Besides it, ORA027 has a great head and funtan plus good tail and fins.